Sharp rate hikes to 40 pct last week halted a slide in the peso. A tough stance against inflation and Mauricio Macri’s relative fiscal discipline are needed for long-term economic health. But tightening the screws puts the president’s domestic popularity and policies at risk. 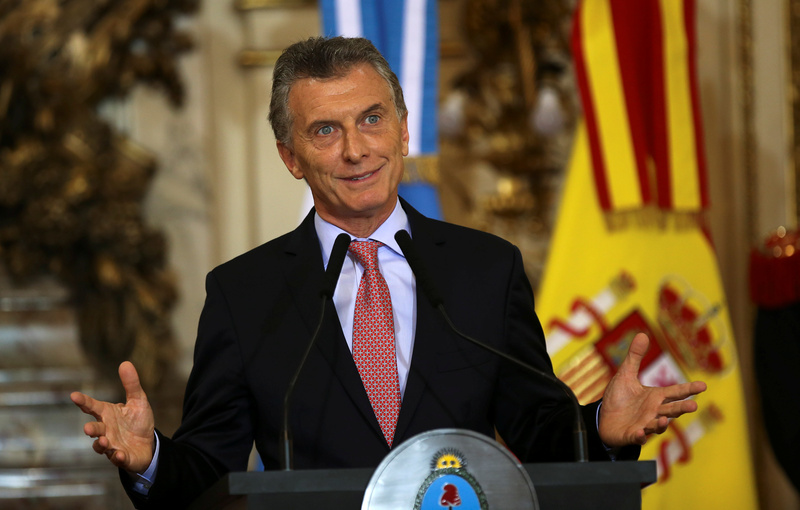 Argentina’s central bank raised its monetary policy interest rate to 40 percent on May 4, the third increase in about a week, bringing the measure up from 27.25 percent on April 27. The move helped spark a rally in the peso, which had sunk nearly 8 percent on May 3 alone. The country’s government also cut its target for the primary fiscal deficit, which excludes debt costs, to 2.7 percent of GDP from 3.2 percent. The central bank said in a statement it would keep using all tools at its disposal in its effort to reach the country's 15 percent inflation target for this year, a goal that many private economists dismiss as unrealistic. Inflation was 25.4 percent in the year to March. The government expects 3 percent growth in the economy this year. Treasury Minister Nicolas Dujovne acknowledged that tighter monetary policy will be a drag on the economy, but said he hoped that it would be "transitory."